Do you know who is hiding in the Otways? Conservation Ecology Centre’s Wildlife and Interpretation Manager, Harley England, introduces us to some of the lesser-known threatened species in the Otways. Read on, then test your knowledge with our fun online quiz to go in the running to win a dusk walk at the Conservation Ecology Centre. Through the work of the Conservation Ecology Centre we are now aware of the presence and plight of the Tiger Quoll and Long-nosed Potoroo in the Otways… but what of the Southern Brown Bandicoot, White-footed Dunnart, Swamp Antechinus and Broad-toothed Rat? All four of these species are currently listed as vulnerable – either internationally (on the IUCN Red List) or in Australia, under the Environmental Protection and Biodiversity Conservation (EPBC) Act. For these smaller animals, the only true way to understand their status here in the Otways is through continuous, rigorous monitoring. Tens of thousands of photos have been captured so far in our camera network and we are seeing the presence of these species here in the Otways – which is really exciting. The next step for our research is to understand the population dynamics and how the pressures of introduced predators – such as foxes and feral cats – are affecting these animals. It is important that we understand and conserve these species, so they may continue persist and in turn increase overall ecosystem health. The Swamp Antechinus is predominantly found in Tasmania with only a few populations still persisting in Victoria – including here in the Otways. Its diet includes insects, lizards, worms and spiders. Antechinus live short, action packed lives. Females rarely survive beyond two years, while males generally only live for one breeding season where they expend all their energy on fighting and mating – ignoring the need to feed until they eventually succumb to exhaustion! Broad-toothed Rats are found in high rainfall areas from sub-alpine heath and sedges to coastal grasslands and heath. They are herbivorous, and feed mainly on the stems and leaves of grasses and sedges. 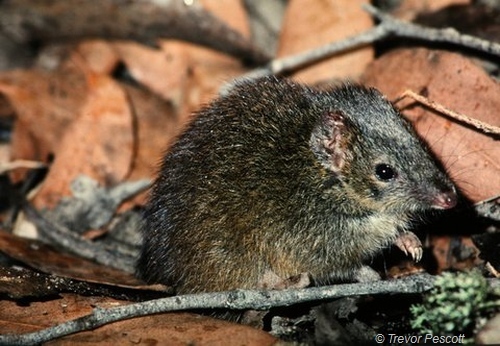 Unlike the fast-paced antechinus, Broad-toothed Rats have a more conservative life strategy. They have comparatively small litters, slow growth, low fecundity (ability to reproduce) and – under normal conditions – low mortality, with high juvenile and adult survival rates. This means that in areas where we have large populations of introduced cats and foxes these predators can have immediate and severe impacts on Broad-toothed Rat populations, which cannot easily recover from increased predation pressures. 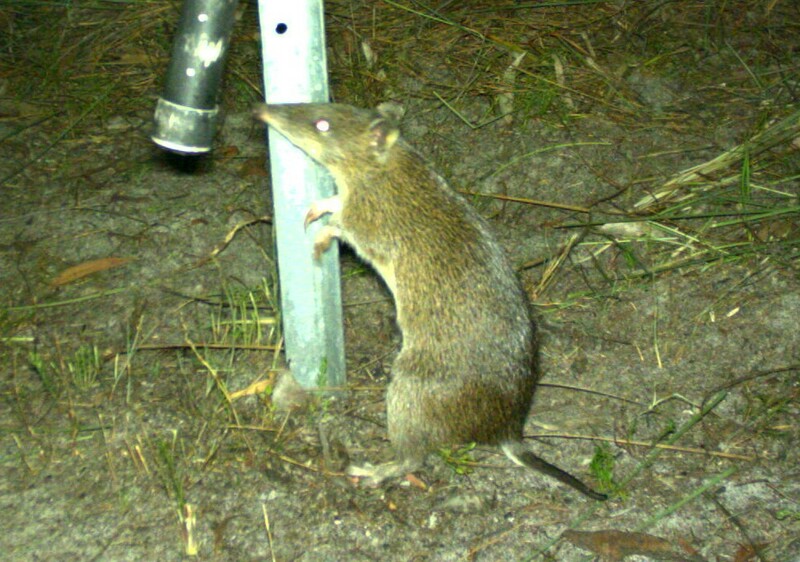 In recent decades the Southern Brown Bandicoot has disappeared from areas of intense urban development and agriculture. In south-western Victoria, the Southern Brown Bandicoot prefers to inhabit Brown Stringybark forest and Silver Banksia heath. Their omnivorous diet includes insects, spiders, worms, plant roots, seeds, ferns and fungi. Southern Brown Bandicoots form an important part of the diet of two of the Otways’ key predators, the Tiger Quoll (Dasyurus maculatus) and the Powerful Owl (Ninox strenua). The White-footed Dunnart occurs in a range of habitats from coastal tussock grassland through to forest or woodland with a dense understory. White-footed Dunnarts appear to only have one short breeding season in their lifetime. Similar to other small dasyurids, like the Antechinus, their diet consists predominantly of invertebrates and they have also been observed eating skinks.